Sky Q enjoyed a torrent of new features over the last 12 months, a trend that looks set to continue throughout 2019. Last year, with the arrival of a built-in Netflix app, Sky introduced a new "Ultimate On Demand" package that blends its own offering of more than 500 UK and US on-demand seasons, and the full Netflix service for £10 a month. Sky also dramatically increased the amount of Ultra HD content available – doubling what was available in previous years to over 1,000 hours of UHD content. But while the last 12 months have brought a slew of new content to watch, it hasn't exactly seen a plethora of new software features. But that will all change in 2019. This is something Sky has been teasing touting for a long time. High Dynamic Range (HDR) was supposed to launch in 2018, but was delayed. However, Sky has promised the feature will make an appearance in 2019 as an over-the-air software update. High Dynamic Range has been available on rival services, including Netflix and Amazon's Prime Video, for years. Sky already offers Ultra HD resolutions, so the addition of HDR seems to be the clear next step for the broadcaster. Whereas Ultra HD quadruples the number of pixels on the display – making everything sharper and more defined. HDR offers brighter whites and deeper blacks. While standard HD panels will display a single shade of black, HDR TVs can go much further and highlight the differences between things that are dark and really dark. Movies that take place in the dark, like horror movies, really benefit from the new contrast levels and should make a real difference to those paying for Sky Cinema each month. In its most recent earnings call, Sky confirmed it was still on track to bring HDR support to its flagship Sky Q service sometime this year. Fortunately, Sky will solve that problem with individual profiles for Sky Q this year. According to the broadcaster, these will allow the satellite box to recommend shows and movies to individual family members based on their unique tastes. Sky has also pledged to "enhance the platform’s data-driven recommendations," so you can find new shows you'll love, more easily. This is something that has already been introduced to rival services like Netflix: a walled garden for children that only offers access to family-friendly content, so parents can hand over the iPad on a long journey and rest assured that their young one isn't watching Orange Is The New Black. Sky Q teased its work on a new Kids Mode back in February 2018. It promised that the forthcoming Kids Mode would be tightly-integrated with the existing Sky Kids app, which includes 5,000 on-demand episodes, as well as children's shows to stream and the ability to create personalised profiles for each child. The app, which is available on iOS and Android, also allows guardians to manage children's screen time, set age filters, and put the app to sleep whenever they want, remotely. According to Sky, the Kids Mode on Sky Q "will make Sky Q more fun and interactive for younger audiences, while at the same time being a safer environment, giving parents peace of mind over what their children can access and watch." During its fourth quarterly earnings call of 2018, Sky told investors about a number of the improvements planned for Sky Q in 2019, including new voice control abilities. The UK broadcaster was intriguingly little vague on the details, revealing that it was developing, "A hands-free TV experience with our next-generation of voice control." Sky has been slowly improving the voice search capabilities of its Sky Q box, recently adding the ability to ask for recommended films and shows with a voice command. It also allows viewers to search by directors, actors and even quotes from popular movies – so shouting "Show Me The Money!" at your remote will load up Jerry Maguire. However, it's still impossible to navigate around the user interface using only your voice, so don't bother asking to "take me to BBC One" as yet. "You'll be able to beg for Benedict, summon Discovery of Witches, or simply ask it to record your favourite shows as Sky Q takes voice control to the next level," Sky teased about its new hands-free experience last year. The change could see an end to the days of losing your TV remote because, as chief executive Jeremy Darroch joked during the quarterly earnings call, "You can't lose your voice down the back of the sofa". Following its recent partnerships with Spotify and Netflix, we wouldn't be surprised to see Sky strike a deal with the likes of Google or Amazon to incorporate their Google Home and Alexa smart home voice assistant systems with Sky Q. Barking recording requests to the Amazon Echo in your kitchen while you're cooking could be supremely useful, after all. According to Sky, its platform already sees 11 million voice requests each month. Sky first revealed plans to allow its television service to be beamed into homes without a dish strapped to side of your house back in 2017. Jeremy Darroch said streaming the full Sky Q experience over a fibre broadband connection would enable Sky to target more than six million households across Europe and two million in the UK who don't own – or don't want to own – a dish. At present, there's no specific update on when prospective buyers will be able to get their hands on this new, broadband-only Sky Q option. However, Sky pledged to begin to offer Sky Q without the need for a satellite dish in Austria and Italy sometime this year during its latest earnings call. A few months earlier, the company had revealed plans to launch Sky Q on selected smart TVs and via third-party devices, opening up the service to more people. It's unclear whether these viewers will be able to pay for a single subscription via these new apps or whether these will only be available to existing customers, as is the case with the standalone Sky Go app already on PS4, Xbox, tablets and smartphones. These updates build on last year's Sky exploits, when Sky Q received a new menu design that added viewers’ Most Recent Recordings and Favourite Channels to the homepage for the first time. The visual spring-clean, launched in March, also brought curated Box Sets, Movies, and Catch-Up TV based on users’ viewing history. 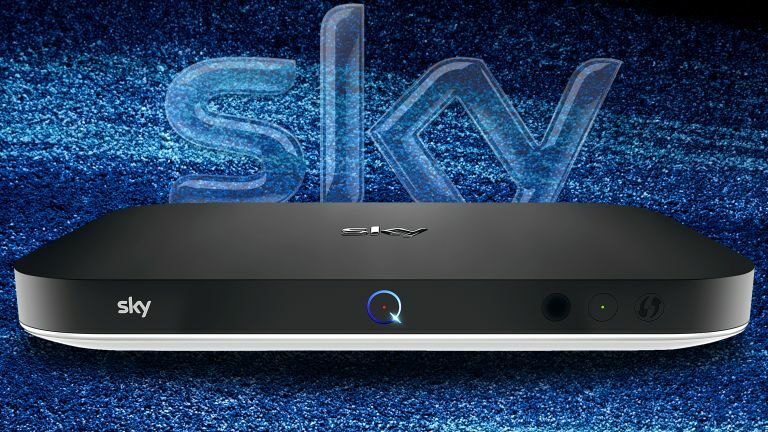 Later in the year, Sky introduced Spotify and Netflix apps to Sky Q – allowing subscribers to sign-in and stream music, movies and television series from the hitherto rival services on their main satellite box.